You are here: Home / Christmas / Treat yourself this holiday season to an HP Laptop powered by Intel® Optane™ Memory! The holiday shopping season is in full swing! Oh, how I love this time of the year. I’ve been busy a busy elf, putting some extra effort into my holiday shopping these last couple of weeks, trying to find just the right gift for each person on my list. I still have a bit of shopping to do still, and am hoping to score some terrific deals this weekend. I might even pick up a little something for myself! Are you busy checking things off your holiday shopping list? All the people in your life deserve something special this time of year. But you know what? You do, too. We both do! This year, treat yourself to a 15″ HP Laptop powered by Intel® Optane™ Memory to help you get more done this busy holiday season. 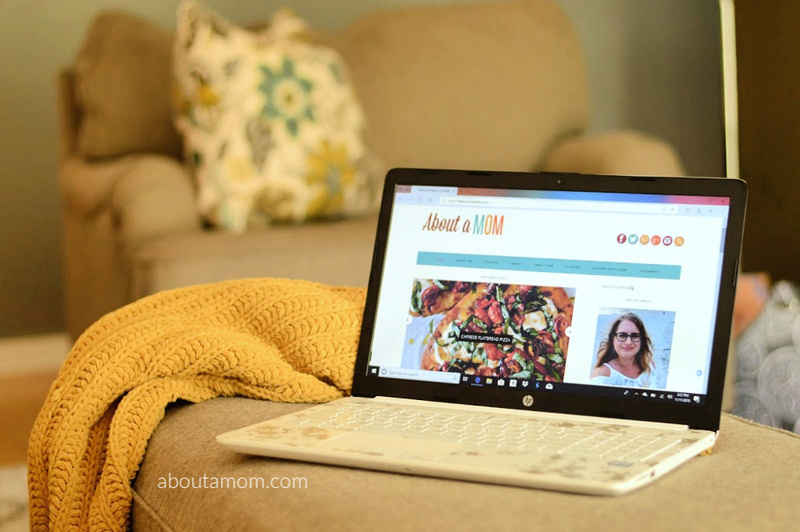 I’m excited to share what I like about this terrific HP PC, and what I’ve recently learned about Intel® Optane™ Memory, and how YOU can get an incredible deal on this same laptop from QVC. 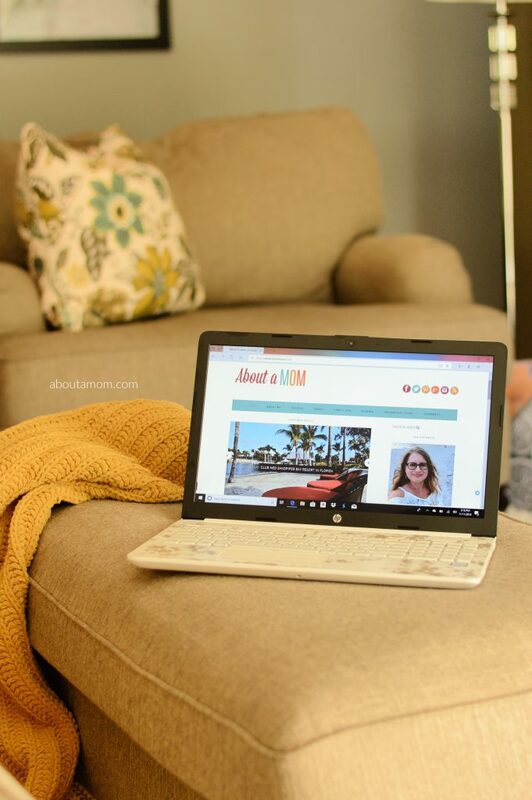 You can pre-order your own laptop on QVC.com from November 17 through November 24 or watch the QVC Live event on November 24 for a great deal before it sells out. It works really fast. 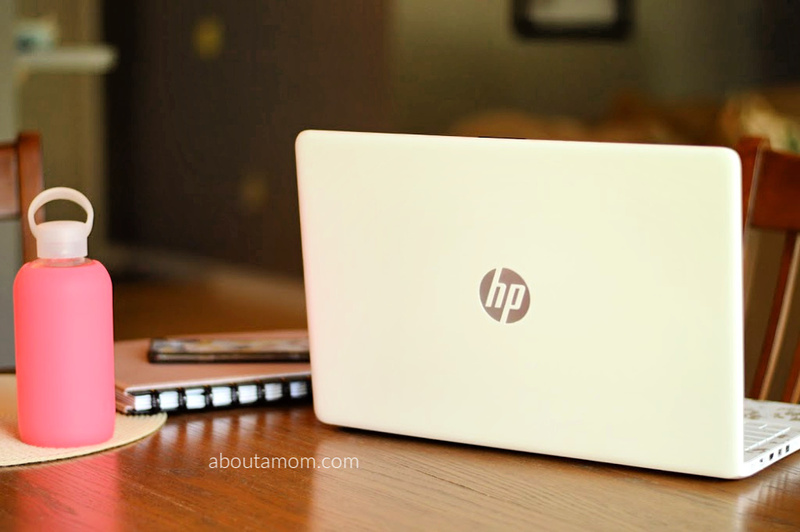 As a work-from-home Mom, I need a PC that will keep up with my busy lifestyle. I never seem to have enough time for all of the things I need to do, and am oh-so thankful for any tip, trick or tool that will help me get it all done. The short boot times, fast app launches, and responsive performance of this PC means I get to wait less and do more. 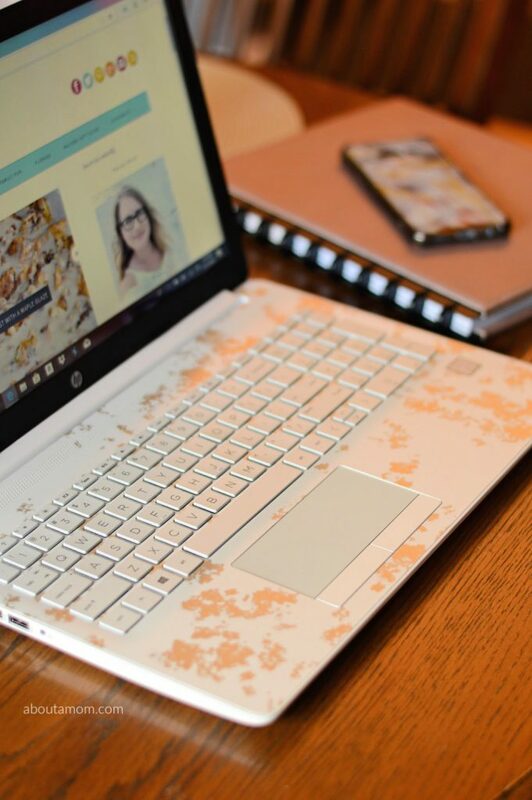 You get a more personalized experience with your HP PC and Intel® Optane™ memory that adapt to the way you use your notebook for an incredible personalized experience. It learns your habits and uses storage acceleration, so you can do more. Let me talk about the QVC exclusive colors for a minute. I’ve never really thought of a computer as being beautiful before. Until now, that is. I have the QVC exclusive Iridescent White color and it is absolutely gorgeous. 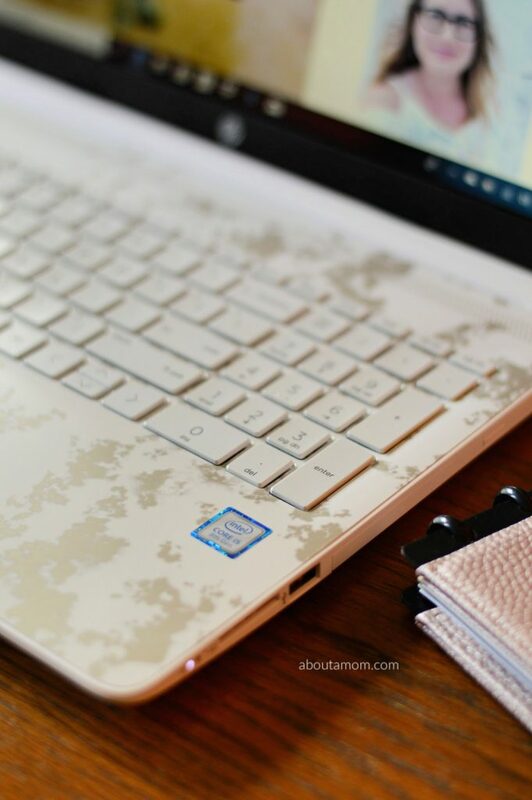 It practically sparkles and the white marbled design on the keyboard just makes me smile. Yes, I know performance is most important when it comes to a PC, but you don’t have to sacrifice beauty for performance. I sometimes spend 10 to 12 hours a day on my laptop, so having a notebook as pretty as this one is just really nice. QVC has the perfect Black Saturday price! Get 6 months no interest and free shipping. Pre-order November 17 – 24 on QVC.com and to watch the QVC Live event on 11/24 for a great deal before it sells out! So far, I’m incredibly happy with the 15″ HP Laptop featuring Intel® Optane™ Memory. It is the perfect size for me. The screen is large enough for my tired eyes, yet the laptop is small enough for me to tuck it into my tote and head to the coffee shop. Most importantly, it performs really well and helps me do the things I need to do quickly and efficiently. I’d love to hear if you take advantage of this great deal. Please drop a comment below, and let me know. Happy shopping! Oooh what a beauty! I love that color! This laptop is the bomb. So glad to have it for my office. I hope a lot of people take advantage of the killer deal cause it’s so worth it!! It does look nice. I just bought a new laptop not long ago, but this would be a contender for next time.